Seng Soukhathivong has served as Laos’ ambassador to the United States since June 28, 2010. Born February 10, 1955, Soukhathivong earned his B.A. in Economic and Social Sciences at Lycée Luang Prabang in 1975 and his M.A. in Foreign Languages (English and Russian) in Russia in 1982. After graduation, he joined the Ministry of Foreign Affairs. From 1984 to 1990, he served at the Lao embassy in Bangkok, Thailand. He spent the years 1991-1993 as secretary for the deputy minister of foreign affairs and with the Secretariat of the Lao-Thai Joint Commission for Economic Cooperation. For four years (1993-1997), Soukhathivong worked at the Lao embassy in Washington, D.C., as first secretary and then as counselor. 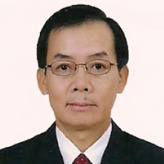 Returning to Laos, he served as deputy director general in the Department of Consular Affairs of the Ministry of Foreign Affairs from 1997 until 2001. Soukhathivong was back at the Lao embassy in the United States in 2001, beginning a five-year stint as minister counselor and deputy chief of mission. He returned to Laos in 2007, serving first as deputy chief of the cabinet in the Ministry of Foreign Affairs and then, beginning in February 2007, as director general of the ministry’s Asia-Pacific and Africa Department. In addition to English and Russian, Soukhathivong speaks French.